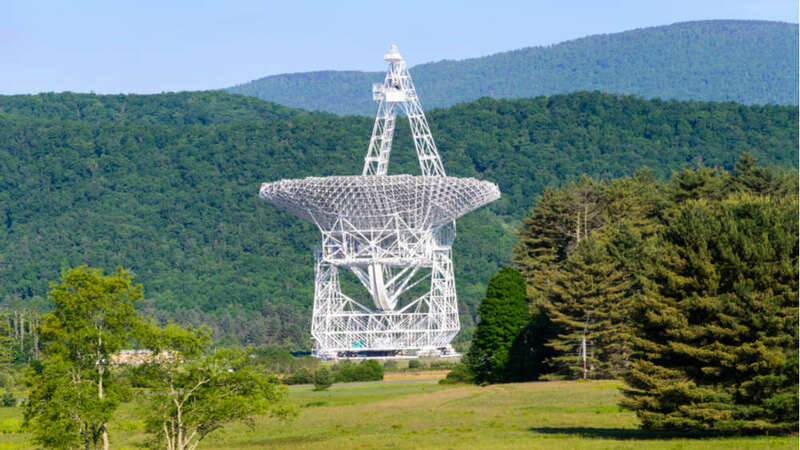 Breakthrough Listen, an international collaborative project to look for signals from extraterrestrial civilizations, has employed its high-precision instruments to look at a one-of-a-kind astronomical event, the fast radio burst (FRB) 121102. People have also been pitching more imaginative explanations. The most repeated idea is the one claiming that these are alien laser pulses used to propel spaceships forward, similar to how Breakthrough Starshot aims to send a tiny probe to Proxima Centauri. So let’s put some perspective on just how powerful this source is. According to recent estimates, each pulse from the source outshines the total luminosity of its host galaxy and is comparable to certain quasars, some of the brightest objects in the universe. If aliens were behind this, they must be propelling a hell of a spacecraft and really didn’t care about wasting energy. Every photon we get from the “alien source” would be a photon that missed its target. Aliens or no aliens, FRB 121102 continues to surprise us. Many teams around the world are determined to work out exactly what’s behind it, and hopefully, we'll soon find out.